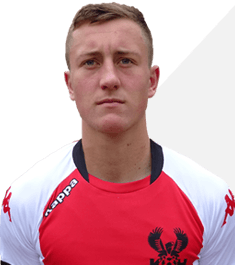 Injury hit Harriers are back at Aggborough tomorrow and will be up against Alfreton Town in a game that they’ll be hoping to build on following the away win at AFC Telford Utd last Saturday. We have a host of important players missing with long term, and more recent injuries, with James O’Connor, Billy Daniels, Ed Williams and Liam Truslove all out for quite a while now but Williams may be back again soon. Meanwhile another two players were added to their ranks at Telford when Aaron Phillips picked up an injury in training prior to the game and then just twelve minutes in Brandon Hall limped off. Luckily, for once, we had a spare keeper on the bench and Tom Palmer stepped up to the plate and had the game of his life saving shot after shot including a barrage in the closing minutes as Telford tried to force a draw. Another one that took his chance well was U23 player Harry Higginson who gave an assured, mature, performance at the back in place of Phillips. He really does look to be a homegrown gem and could well feature again this weekend. Back for us will be Ryan Johnson now that his three game ban has come to an end while Kane Richards will be serving the second game of his similar time out. Sixteenth placed Alfreton will be coming to us hoping to get their first win of 2019. The last three point game for them came at Boston Utd on Boxing Day when they won 1-0 through a Reece Styche goal. Styche will be wanting to do the same to us tomorrow having played here in the past along with three other former Reds – Martin Riley, Richard Peniket and more recently Ed Wagner. It was on the opening day of the season that we went to their place and came back with a point from a 3-3 draw with our first goal coming from the recently departed Dan Bradley. In the corresponding game last season we came out victorious with a 2-1 win and goals from Joe Ironside and Elton N’Gwatala. After that bad run in recent weeks it was good to get back to winning ways once more at Telford. With that battling performance there were signs that things are turning around to our way at last and tomorrow we’ll all be hoping it carries on turning around. Hall, Palmer, Weaver, Phillips, Horsfall, O’Connor, Penn, Vaughan, Digie, R Johnson, Heaton, McAlinden, Weeks, Stratford, Truslove, Butterfield, Higginson, Austin, Chambers, Daniels, Ironside, Williams, Clayton-Phillips. Nicholson, Ramsbottom, Shiels, Wilde, Clifton, Riley, Clackstone, Allan, Wagner, Smith, Platt, Clarke, Hotte, B Johnson, Sinnott, Lynch, O’Brien, Collins, Bateson, Peniket, Blake, Styche.